This year’s Christmas was a merry one for me. The bulk of my presents were bread making books from friends and family who are quite enthusiastic about my newfound hobby, bread making. Of course, they are all thinking of the warm home-baked dinner rolls which I gifted them before the Holidays officially began. Peter Reinhart’s books (those two at the top) appear to be marvelous condensed courses on advanced bread making made simpler for the home baker. From quick browsing, I think the book touches a bit on the science behind making bread. The Bread Baker’s Apprentice in particular, had been awarded Cookbook of the Year by James Beard Foundation Book Awards and Book of the Year by The IACP Cookbook Awards. The Bread Bible by Rose Levy Berenbaum is filled with wonderfully drawn bread making procedures and techniques, fantastic for novice bread bakers like me. 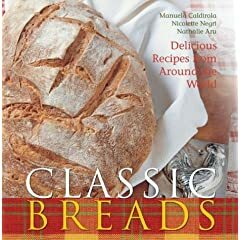 Classic Breads by Manuela Caldirola , Nicoletta Negri, and Nathalie Aru boasts large mouth-watering photos of many bread types including decorative breads. Most recipes call for fresh yeast, not readily available perhaps to the home baker but it is just probably learning how to substitute this for the more available instant variety. Baking by James Peterson is chock full of photos of techniques and recipes with sections on bread, cookies, pies, tarts, etc. Nevertheless, I am so excited to delve well into these books. I love my Christmas! I have just been awarded the Splash! Award, my second honor in five months of blogging life, by sumthinblue of Bookmarked! This just makes my dracula-like eyes (mostly from reading) and my growing middle (reading and snacking go so well together) all so worthwhile! The Splash! 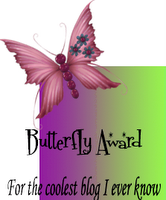 Award is an honor given by fellow bloggers to blogs which either “allure, amuse, bewitch, impress or inspire”. For my blog to be one of these is just whew! … super! Can you say cool, as well? 😀 😉 And, to receive it from someone in the blogging community really flatters me pink! 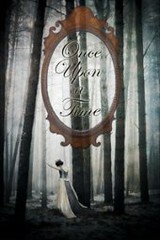 This blog was born out of my need to take up simple writing once more and a compulsion to share my books with those who love reading as well. Blogging takes a lot of time, especially for me. Writing does not come as easily as it used to. I haven’t been penning much of anything nor getting acquainted with much books for years; so, I’m still wobbly on the writer’s bicycle. I would love to have nine awardees; however, I haven’t been visiting many blogs for me to able to come up with a list. Also, those blogs I wish to give it to have also been awarded by sumthinblue. To name them: Coffeespoons and KyusiReader, both well-written blogs worth your time perusing. 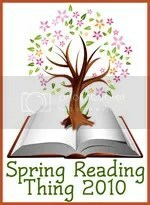 Sumthinblue of Bookmarked!, as you have linked back to you awarder, so shall I with you. For great feature and review writing and a drool-worthy collection of books I can only be envious of, you certainly deserve being Splashed! Verby of Verbivore, my first cyber friend in the blogging community, for your informative and sometimes amusing articles on life in Bangalore, I Splash! you! Grammar Pulis, for your hilarious posts on grammatical sins and for authoring a blog so useful to those who have forgotten a lot of the rules (guilty, as charged), I Splash! you! 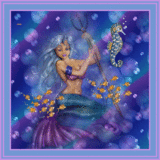 Nicki of Fyrefly’s Book Blog, for your meticulous blog and well-written reviews. Nowhere have I encountered a book blog which has everything it should have. Features like a vocabulary list for each book reviewed, the opening lines of each book, a reading calendar, author interviews, a monthly wrap-up, and even (wow!) a reading tracking spreadsheet and graph! You’ve got it all covered, and for this, I Splash! you! Lightstaff , the newest addition to my blogroll, for marvelous, artistic photos I have been enviously gazing at for a few months now, here’s a Splash! for you!